We speak to hundreds of coaches, players and parents on the daily and saw a pattern requesting more Dr. Dish content where females were represented. So, what did we do? JUST THAT! We brought Coach Bre Salley on board as an official Dr. Dish Pro trainer. 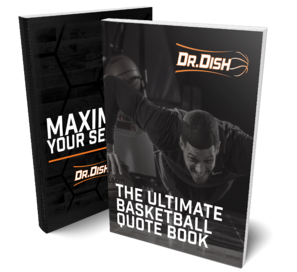 We leveraged the talent and minds of our internal staff of female basketball players to create drill and blog content. We reached out to local and abroad players to share how they are using their Dr. Dish, such as Courtney Boylan-Douglass. We talked to coaches who have had great success in their women's and girl's program and what made the difference for them. Combining these great minds allowed us to put together a ROCK STAR library of exclusive women's content to provide to you! What could help you do your job better? Would you like more team drill content? Coaching tips? Advice on a certain topic? For access, check out the library and give us your feedback!